From an east coast prep school to the California coast, Spencer Bridges is a professional surfer with an unlikely background. Southern California has no shortage of surfers, including a number of professional ones. USC even offers a surfing class that students can take for credit. Because, you know, it's Southern California. Most kids at USC who are into surfing perhaps grew up somewhere along the California coast, with their dads getting them out on longboards as toddlers and continued to surf with friends casually after school. Others got into it once they hit Los Angeles, getting swept up in the wake of a local pastime. But at the small, east coast prep school where New Jersey native Spencer Bridges was a student before coming to USC, he was the only one on the school's surf team. In fact, he was the one to start the one-man surf team. Prior to starting the team, the school had never had a need for one before. Lacrosse and football were the big sports played on the manicured lawns of the Morristown-Beard School, and most students played tennis and golf, if not on the varsity teams, then on the weekends as a hobby. Periodically, during the school's semi-weekly morning meeting, the dean of the Upper School at Morristown-Beard would make an update about the surf team's accomplishments, just like he would give updates for all the varsity sports. At first, the fact that Morristown-Beard had a surf team came as a surprise to the student body. Plenty of students spent their summers at the beach either at the Jersey Shore, or in Nantucket or Martha's Vineyard. But this wasn't Orange County. Even at the beach, surfing just wasn't a part of life. To have a surf team at this small private school in New Jersey, and even just a student who surfed in the first place, was a novelty. But quickly, hearing the surf team updates became more and more normal, and became something that set Morristown-Beard apart from other high schools in the area. While other students sought Division I and III scholarships in their respective sports to schools throughout the Mid-Atlantic and New England areas, Bridges was already on the professional tour, sponsored by Jetty, and was well on his way to making a name for himself in the surfing world, with hopes of coming to college out in California. While it took much convincing to get the school on board, administrators at Morristown-Beard afraid he would never come back, he took a semester off from school to travel and surf. On the circuit during his time off, Bridges surfed in Costa Rica, Ireland, and California, trained in Australia for about a month, and competed. 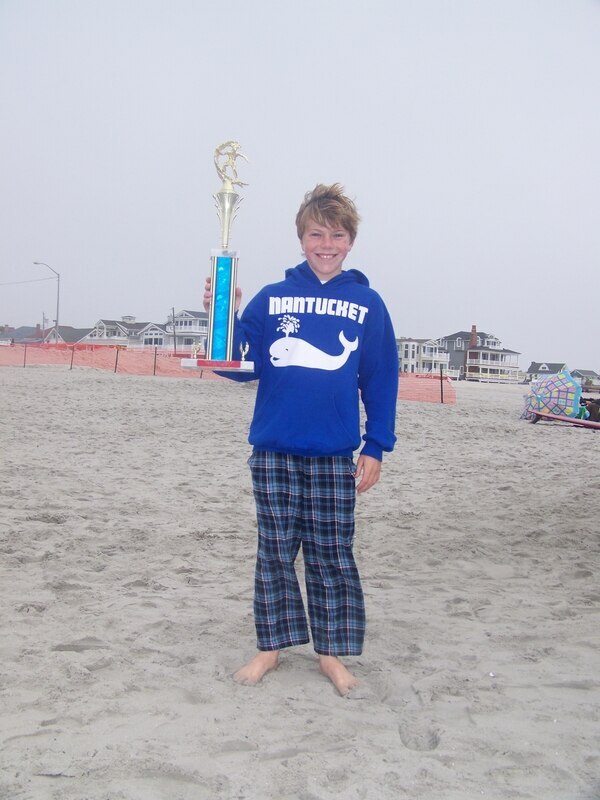 In the 2015 NSSA Championships held in California, he placed fifth in short board and second in long board. 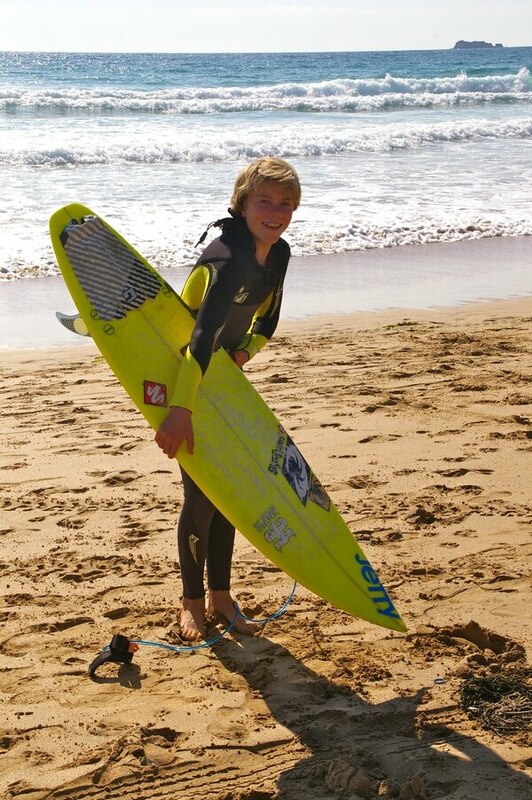 One year later in the same NSSA Championship, he placed first in long board. Bridges didn't drop out like the school had originally worried. Come September, he was back in class, no longer in a wetsuit, but rather adhering to the khakis and collared shirt dress code on the grassy Morristown-Beard campus. While surfing is a huge part of Bridges' life, it is far from his whole identity. Every single other surfer Bridges competed with during that semester off was homeschooled. But school is just as important to him. When not on a surfboard, he's into politics. He worked as a congressional intern in Washington D.C. this past summer. Bridges' passion for surfing began at age 7, when he and his father, Tim, took a surf lesson together at the Nantucket Surf School. By the time he was 11, he was doing competitions, gradually evolving from competing on an East Coast level to then a national level and then internationally. In New Jersey, Bridges said, if you want to become good at surfing, you have to be willing to surf all year, which means surfing when it's snowing and crashing waves are sending ice chunks flying in the air. That's dedication. Bridges as a child in Nantucket, Mass. Photo courtesy of Victoria Bridges. Now as a student at USC, Bridges tries to surf two to three times per week. With no traffic, he can get to Manhattan Beach in 20 minutes. A few weekends each semester he goes on weekend surf trips with friends to surfing hot spots such as Santa Cruz, San Diego or across the border to Mexico. Being out on the water has proved to be a place of refuge for Spencer. On May 5, 2016, Bridges lost his best friend of 10 years to suicide. He didn't know what to do with himself. He was lost. He was angry. And most of all, he was sad. One of the hardest parts about coping with loss is that the world doesn't care if you're hurting, the world doesn't stop. But bobbing on his board in the waves of the ocean, he realized that it was here that life paused for him. Bridges finds a "natural peacefulness sitting on [his] board in the ocean." It's what gives him space and time to heal from anything, even the loss of his best friend. A big smile before heading into the water. Photo courtesy of Victoria bridges. On the sun-drenched and palm tree-lined campus of USC, Bridges fits right in. With his salty blonde hair and freckled skin, he looks every bit the rugged, athletic, professional surfer that he is. But despite being a world-class competitor and surfing being one of the most important things in his life, when you meet Spencer, he'd never tell you this unless asked. He gets it all out on the water and his motivations for surfing come from himself, not from being able to talk about his accomplishments. His roommate often hears his alarm go off before 6 a.m. But leaving in the early morning darkness is not grueling or annoying to Bridges. He quietly does what he needs to do. And when he returns, the amount of joy inside him is evident on his face. He's doing what he loves. And he's proving in the process how to make something of yourself, even in a world you weren't born into.